Bill Kaplan, the founder of Working KnowledgeCSP, is recognized as one of the early thought leaders and knowledge management consultants in the application of Knowledge Management (KM) in the government sector and a long time practitioner in the private sector. Bill Kaplan has been consulting on the leadership and practical application of Knowledge Management as a business discipline to address business operations and workforce performance challenges since the 1990s. Profile (click here). Bill Kaplan’s 2010 book, “Losing Your Minds: Capturing, Retaining and Leveraging Organizational Knowledge,” about understanding and mitigating the risks of knowledge loss due to workforce turnover is a desktop guide to creating a sustainable knowledge management strategy and framework. Bill Kaplan is also published on many articles on knowledge management, including the application of knowledge management within federal acquisition, procurement, and program management organizations. In 2005, Acquisition Solutions, Inc. (ASI), a public sector only management consulting company with multi-disciplinary practices including federal acquisition and procurement, program management, knowledge management, and organizational performance, selected Bill as its first Chief Knowledge Officer and Knowledge Management Practice Manager. In this role, he was responsible for developing and evolving the company’s knowledge management and quality management infrastructure and leading their KM consulting practice. While Bill was the ASI CKO, the Know Network (Teleos) recognized the ASI KM team’s efforts by naming Acquisition Solutions a North American Most Admired Knowledge Enterprise (MAKE) Top 20 finalist for three years from 2007-2009. Prior to this role, Bill Kaplan was the Deputy Global Knowledge Management Practice Manager at Science Applications International Corporation. Bill Kaplan has 40 years of professional experience in all phases of federal acquisition and program management practices and processes. He completed a distinguished career in federal acquisition and program management in the United States Air Force and the Department of Defense, retiring in the rank of Colonel. During his military career he served in both service and joint acquisition leadership positions. During his military career he earned numerous personal, unit awards and service medals including the Defense Superior Service Medal and the Legion of Merit Medal. 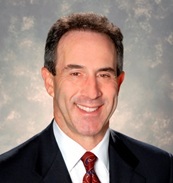 Bill Kaplan holds a Professional Degree in Knowledge Management from the George Washington University and MBA from Southern Illinois University at Edwardsville, and BS in Business and Economics from Lehigh University. He is a graduate of the Industrial College of the Armed Forces and the Defense Acquisition University Advanced Program Management Course. Mr. Kaplan also holds Defense Acquisition Workforce Improvement Act (DAWIA) Level III certifications in Contracting and Program Management and is a Certified Professional Contracts Manager (CPCM).